Renting a car is not a bad option for making your way around Kapolei. It gives you more freedom to get where you would like to go, and parking won’t usually be an issue. If it is, there’s probably another parking lot just across the street. I was going to add “or taxi” to the title of this section, but I realized that there aren’t many taxis zooming around Kapolei, so I decided to stick with Uber. Because the drives between the things to do aren’t absurdly long, Uber can be a decent option in the Kapolei area. Although Kapolei has been growing exponentially over the past few years (we now have a Walmart, Costco, and Target lol), the tourism industry has been slow to realize it. That means that there are limited places to stay in Kapolei itself. The Embassy Suites is the most recent addition to the places to stay in Kapolei. It has quite a few amenities, including a business center, a fitness center, and a pool. Rooms start at $246 per night, although this price depends on the season. The Hampton Inn and Suites is connected to the largest shopping area in Kapolei. It’s amenities also include a business center, a fitness center, and a pool. Overall, prices are comparable to the Embassy Suites, but it is possible to find individual nights for oddly cheap prices. Rooms start at $132 per night, although this price depends on the season. As always, Airbnb continues to be an option. There are hundreds of rentals in the area, ranging from $35 per night to $654 per night. Here are some tips to help you choose the Airbnb that’s right for you. Kapolei surprisingly has a ton of delicious food places – if you know where to look. If you’re looking for more local treats, they’ve also got a trio of musubis (3 Kine Musubi), saimin, and some spam fries. (If you are currently puzzled by the terms “musubi” and “saimin,” please refer to Part 1 of the Hawaii Food Bucket List). Bonus: If you’re looking for somewhere to have a night out, Plantation Tavern also has a full bar. This brunch place has a very casual feel to it. In addition to having to order at a counter instead of having a waiter or waitress take your order, the dishes themselves have a homey feel to them. The fluffy omelets seem to burst at the seams with fillings like kalua pig and locally-grown tomatoes or grilled chicken and avocado. Don’t forget to try the flight of pancakes, which includes cookie butta luva (cookie butter), chocolate taro haupia, and lilikoi (passion fruit) pancakes. There are very few places on the entire state of Hawaii where you can get Peruvian food, and Limon Rotisserie is one of them. Empanadas, ceviches, and a whole chicken are just a few highlights from the menu. If you are from the mainland (a.k.a. 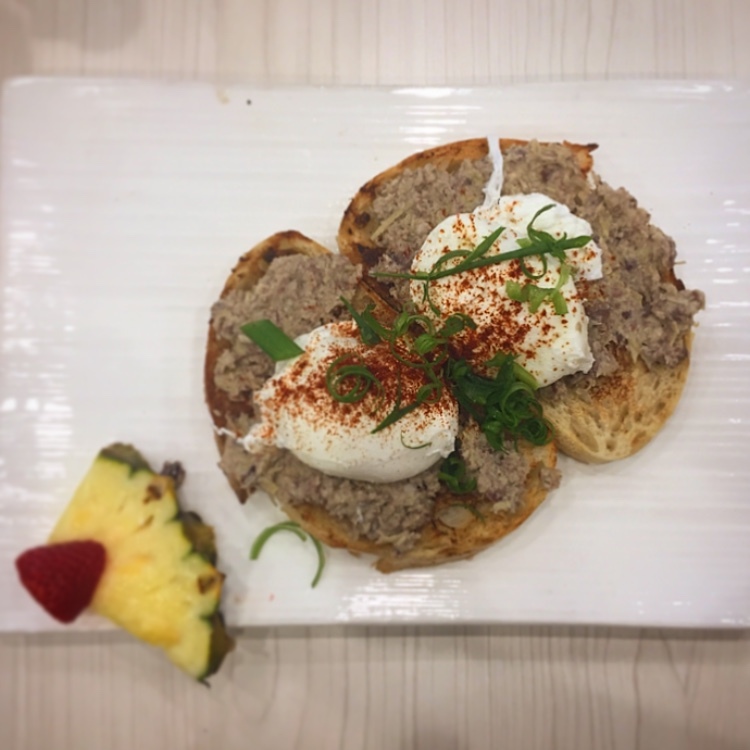 the continental U.S.) and you are looking for somewhere on par with your tasty brunch experiences, head to Moena Café. Along with traditional breakfast items, like omelets and benedicts, Moena Café serves up some dishes with local twists, like the short rib loco moco or the sweet bread French toast. There are many places to get delicious Japanese ramen noodles in Kapolei, but Agu Ramen will always find its way towards the top of the list. Choose from tori ramen (made from a chicken-based broth), tonkotsu ramen (made from a pork-bone-based broth), spicy ramen, or one of Agu Ramen’s specialty options. This casual dining location doesn’t have a local spin like every other place on this list, but that doesn’t mean that they don’t have pretty good food. If you’re looking for a menu that’s more American and European-centric, La Tour serves up some pretty good burgers and salads, as well as delicious macarons and kouign amanns for dessert. 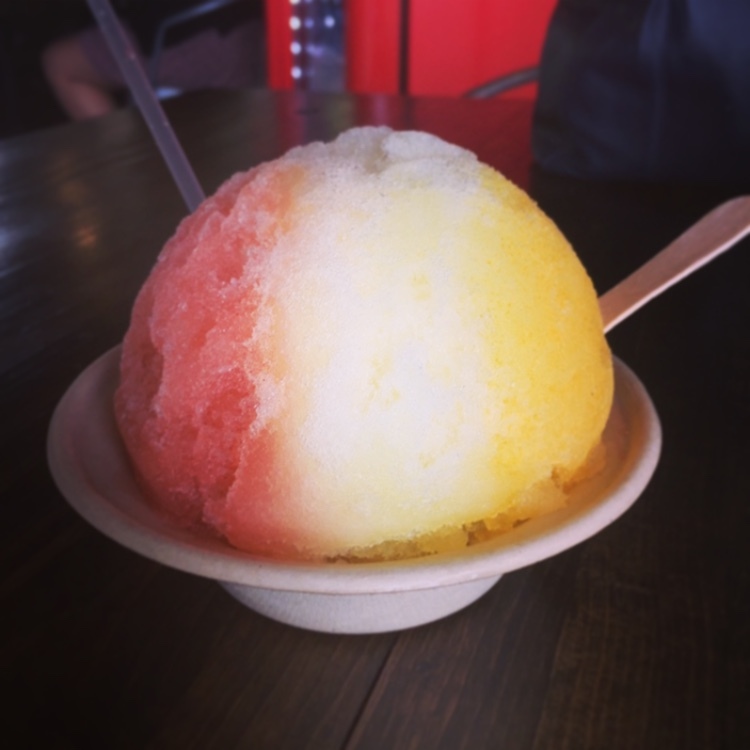 If you’re on the look out for the best shave ice place on Oahu, Island Shave Ice & Creamery is definitely my pick. The flavors aren’t just over-the-top sweetness, but they’re actually fruit-filled and delicious! If you’re looking for a slightly fancier place to eat in Kapolei, Eating House 1849 should be on your radar. Owned by locally famous chef Roy Yamaguchi, the Eating House 1849 serves up a beautiful fusion of Hawaii’s simple local cuisine and aspects of modern cuisine. *Note: this recommendation is a bit more expensive than the others on this list. db Grill is another fun, Asian-inspired restaurant in Kapolei. Their dishes are served in communal plates that feed 2 to 3 people. Try some of their local favorites, including duck fat fried rice, Ed’s signature kalbi, DB grilled tofu salad, and beef bone soup. While there are many small shopping centers scattered around Kapolei, most are for practical use. (I mean, if you’re the kind of person who likes to visit a Safeway or Costco while traveling, search it.) Here, I’ll just be providing ones that have slightly more visitor-oriented options. Currently, Ka Makana Alii is expanding to add a very large addition to the mall. This new section is reported to be more health-oriented, as it will attach to the current 24-Hour Fitness. At the moment, the only stores that have been announced to be in this section are PetSmart and Foodland, a local grocery store. Nimitz Beach is a nice beach to just sit on the sand and relax. Odds are there won’t be too many people to share the area with. On the shore, you’ll be able to find beautiful pieces of sea glass. However, the water isn’t ideal for swimming, as there are some sharp rocks. Tip: You may see quite a few government vehicles in the area, and that’s simply because you’re near government property. No need to be alarmed. White Plains is where locals from the West side go to surf if they don’t feel like driving that far. It very much has an indescribable local vibe that can be uncomfortable for tourists. Be prepared to hear a ton of pidgin (the local slang – read more in this post) and don’t evercut off someone – especially a local – on a wave. *Tip: Be sure to lock your car and hide your belongings (including any sort of bag that could look like its hiding something valuable). Petty car theft is quite common in certain areas around the island. Staying on Oahu for a while? 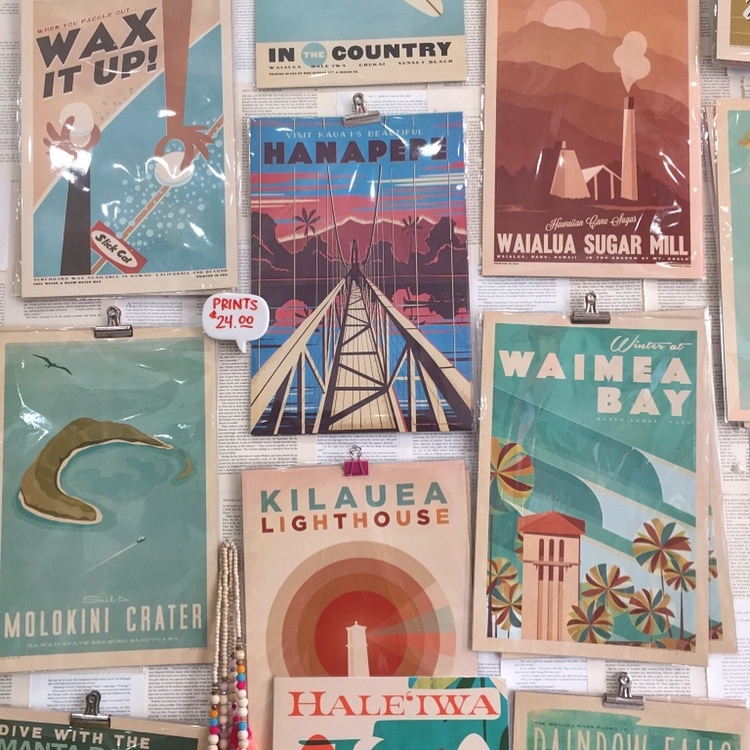 Check out the Ultimate Guide to the North Shore, Oahu! All these places look amazing! Can’t wait to get back to Hawaii! Hopefully it’ll happen one day soon! Been to some of the places and just love it there! Ah really?! Which ones have you been to? Such an informative post! I will keep this post in mind when I go there. The food really looks beautiful! The food in Kapolei is so good if you know where to look :). You had me at poke nachos. They look soo good. I will have to visit your little town! I know I will end up in Hawaii one day. I have to see all 50 states!! I’m actually working on a post about the town that I grew up in! Ooh that’ll be such a fun read! Also yes, the poke nachos are so good!! Mmm those poke nachos look good!! They are!! I’m not at home right now, so I literally tried to Yelp poke nachos in the area, and it was so unsuccessful lol. I guess I have to wait until I head home again! Wish I had known about this gorgeous little town when I visited Hawaii. Your photos are gorgeous (especially that water) and I’m jealous you got to grow up there! And holy moly, Limon Rotisserie is where I would head mock one because I LOVE Peruvian food!! Guess it’s time for another trip!! 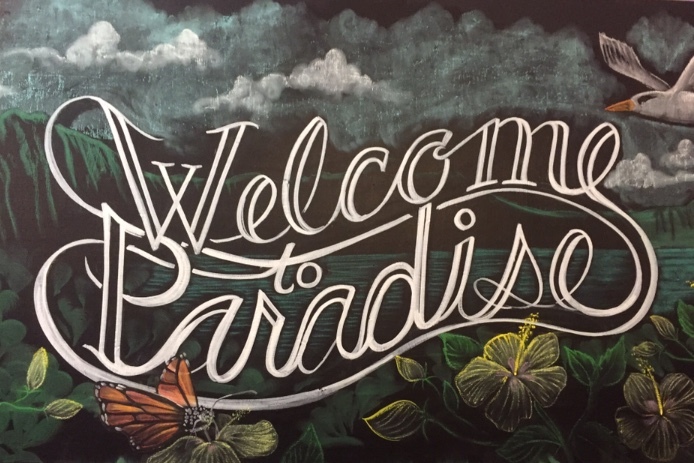 Every island in Hawaii seems to have its own personality, but I have always found I gravitate towards Oahu! Very true! 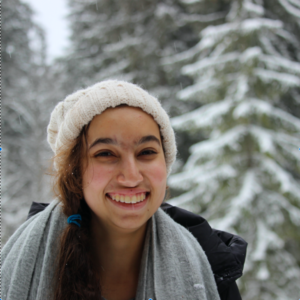 I actually write about the different personalities of each island in one of my other posts! Perhaps it’s time to head back over to the islands!! I can’t believe I missed this part of the island entirely! There are so many awesome-sounding restaurants too. 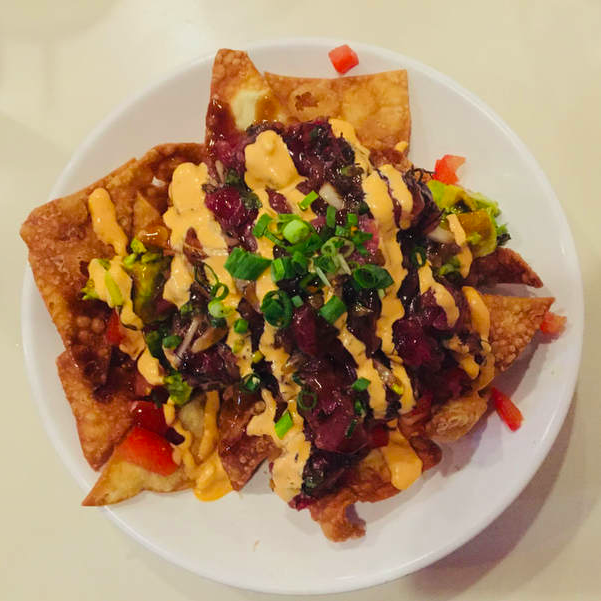 Poke nachos just sounds heavenly…. Haha sounds like its time for another trip to Oahu! Would just go there for all the awesome food recommendations if nothing more! Nice to know you were raised in this town. I have been to Oahu but didn’t make it there. It is kind of cool to know people are interested in visiting the place you are from (at least I feel good when people are interested in Puerto Rico),. I need to go back and check this city. Haha yeah for sure! It’s especially cool when the tourists still haven’t found all your secret spots lol. 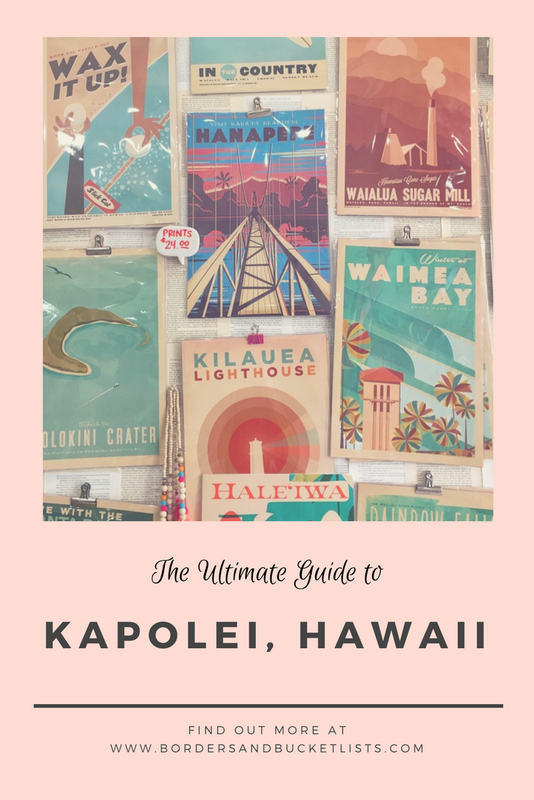 Hawaii is definitely on my bucket list… and I even affirmed this by reading your ultimate guide… how long / what’s the longest time of travel/ stay in Hawaii though? I think that depends on what you’re looking for. Most people are happy with a 10-14 day trip. Some decide to move, and then they’ll get what we call “island fever” after a couple of years, because the island is just too small for them. For me, I’ve been there for 21 years and still haven’t seen it all! I loved Oahu! Getting around by rental car was the best. I love those old fashioned post cards too! Those vintage posters will be making their appearance again in another post soon! Great, informative post! And all that food in Kapolei looks sooo good. Thanks for sharing all these tips. OMG THOSE NACHOS LOOK SO GOOD. But seriously, looking at heading to Hawaii this winter and this is going to come in handy! Ah yes!! I can’t wait for you to put this guide to good use!! I have never heard of this small town before but for sure would be lovely visit it when in Hawaii. I always appreciate reading guides written by locals since they are more authentic and often contains the best tips. Me too! I always look for local guides when I travel to a new location :). Great information in this post. The food looks amazing and the vintage style prints/postcards are super cute. Hopefully i get to visit Hawaii soon to enjoy it all! Awesome places to visit, and good to know about the city that you grew up. Most of us travel the world but never would have thought to blog the importance of their own place, nicely done. Thank you so much! 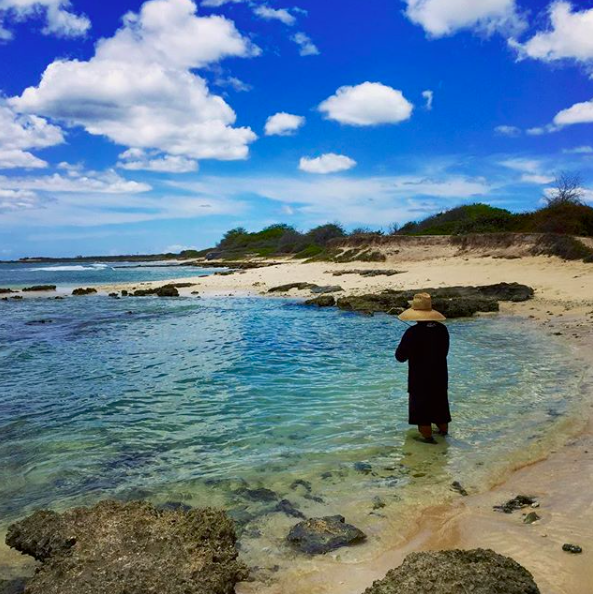 Most of my posts are actually about my home island – it’s the place I know best, and I want others to be able to experience it at least a little closer to the way I do. Thank you! I honestly have so much fun posting about my home island :). Can’t wait to try some of these places! I’m going in October and will save this post. Thanks for some good tips! Ooh yay!! If you snoop around the blog a bit more, you’ll find a lot more local tips :). Aw thank you so much for continually reading my blog! Your support really means a lot! Hawai is the dream! It is just so far from Europe but hopefully, I will get there one day! The food looks amazing too! One day it’ll happen for ya! WoW what a stunning and lovely place to visit. Loved your pics and the information. When I get over I will deffo try and visit, thats for the inspiration. Of course! Glad I could add to your inspiration :). 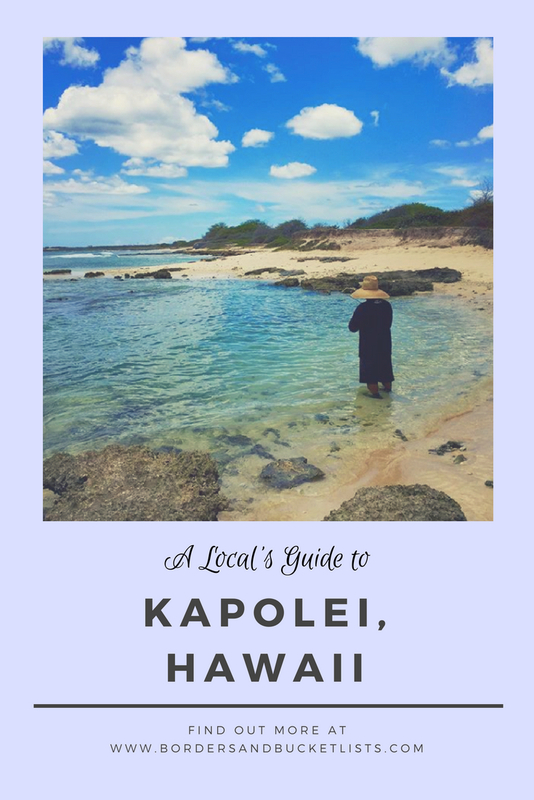 Such a great guide to visit Kapolei Oahu, Hawaii. It’s one of my favorite cities to discover in the future. The hawaiian food looks really delicious I can’t wait to taste that special Ice cream.